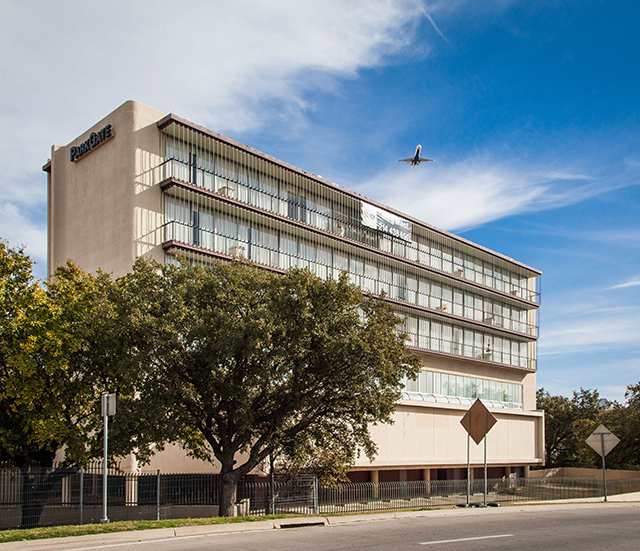 Our favorite historic buildings represent a rich history unique to Dallas. They have stood the test of time and are a tangible connection to the past and how we treat them says a great deal about who we are and what we value. 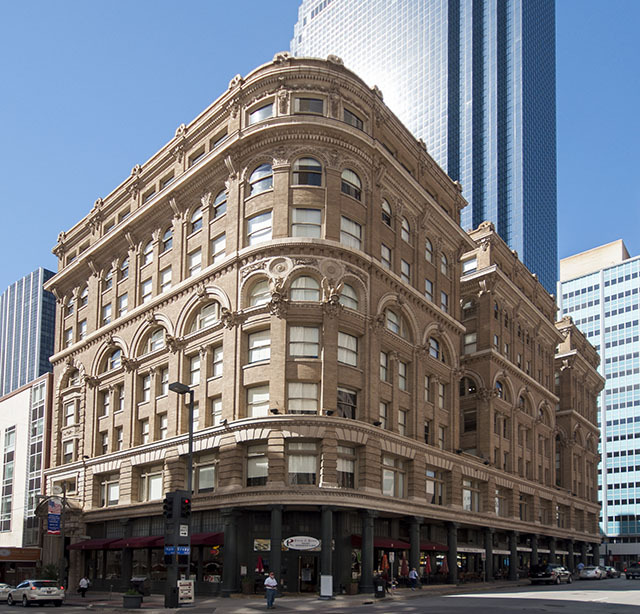 So, all our favorite old Dallas buildings are protected, right? Maybe not. It may be surprising to learn just how many historic buildings and neighborhoods in Dallas have an uncertain future. Designed by architect Sir Alfred Bossom of Magnolia Building fame, the seven-story apartment house was completed in 1925 in the Mission Revival style. 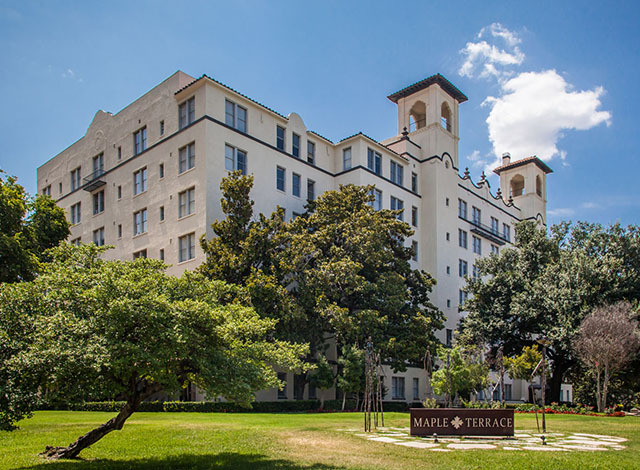 It is one of the few remaining historic apartment buildings in Dallas of that age and size, but does not have historic recognition. Intense development around the building has led to numerous rumors of its demolition. 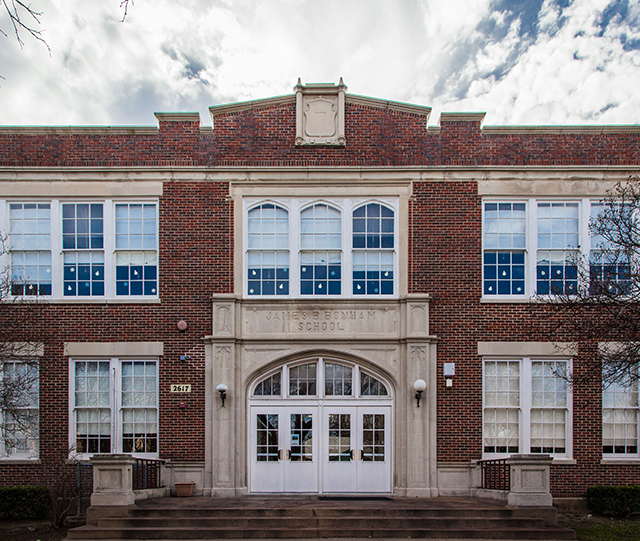 This one-story school was completed in 1916 using cement from the nearby quarries to build its thick walls and roof. Its best known student was Bonnie Parker. The school closed in the 1950s and its windows have since been filled in with concrete blocks. Nearby development suggests the building itself could be in jeopardy. 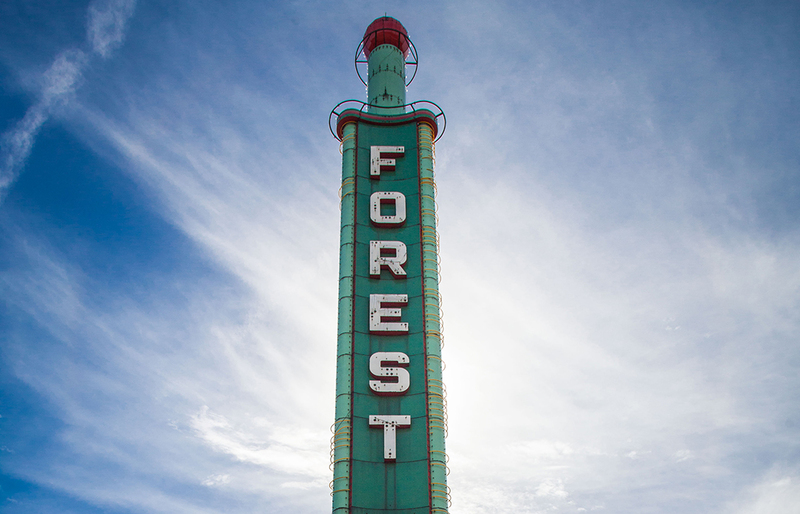 This 1938 theater, designed by Pettigrew and Worley, is an important example of Art Deco style, even rarer because of its distinctive neon tower. It was part of the Interstate Circuit Inc. theater chain’s ambitious suburban expansion scheme in the 1930s. Today, the theater is an iconic and much-loved symbol of Lakewood, despite its vacancy. 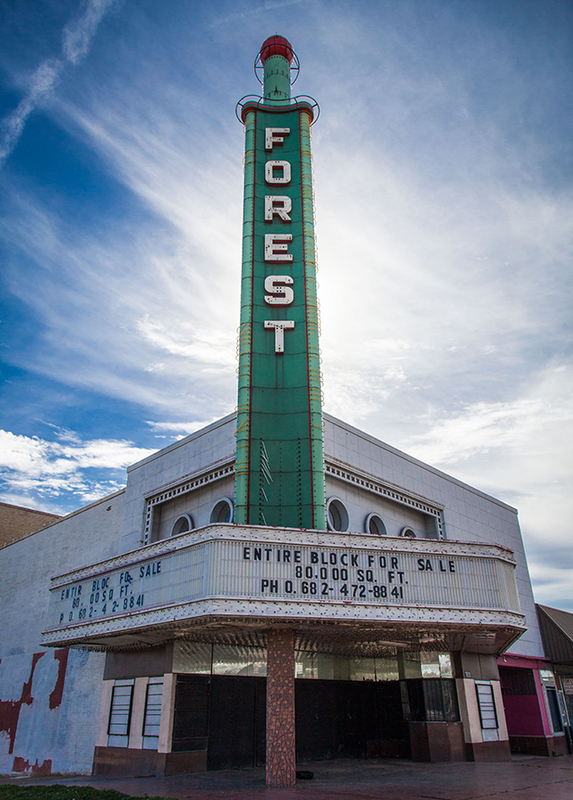 Despite being used sporadically for special events since closing in 1965, the Forest Theater, built in 1949, is a fixture of Dallas’ African-American community. It faces an uncertain future due to its depressed neighborhood and the owner’s indifference. 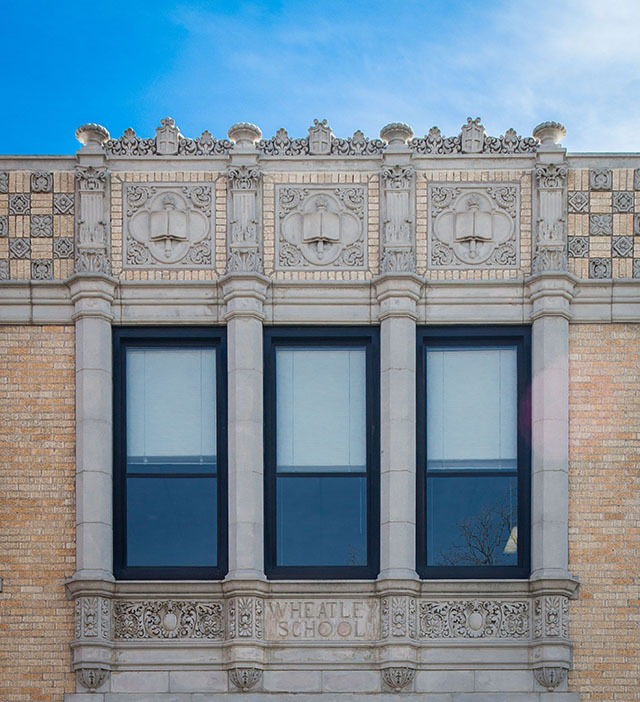 Modeled architecturally after Chicago landmarks, the elegant and recognizable 1904 Wilson Building is a downtown fixture that has no local landmark designation. This now-vacant training center for Braniff Airways hostesses was designed by Pierce, Lacey and Associates, and completed in 1968. A sunken common area with a round “floating” fireplace was known as the “Passion Pit” since the women could mingle with male guests there. This architectural nod to the swinging ‘60s might be lost soon since it is near Dallas North Tollway and new apartment development. Current favorable redevelopment plans focus on maintaining the historic context and local business atmosphere. However, the final results are uncertain since other potential development nearby—including the proposed demolition of Interstate 345—will have an impact. A decline continues in South Dallas districts despite their local and national historic designations. The issues are related to socioeconomic shifts, chronic code violations, absentee landowners, and even demolitions. The greatest threat is to the Colonial Hill National Register district. Closure of several historic Dallas school campuses—including Phyllis Wheatley Elementary and James Bonham Elementary—invites vandalism and neglect to the shuttered structures, facing uncertain futures. 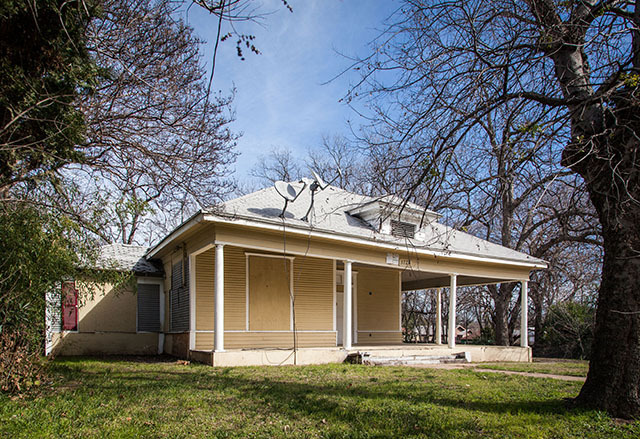 Built in the height of the Dallas suburban boom, these closed and abandoned structures in such neighborhoods as Lancaster-Kiest and Casa View are susceptible to vandalism and arson. Current staff levels and budgeting have not yet fully recovered from draconian cuts administered in 2008, even though interest in and expectation of services and programs have increased exponentially with the improving economy and desire for inner-city reinvestment. 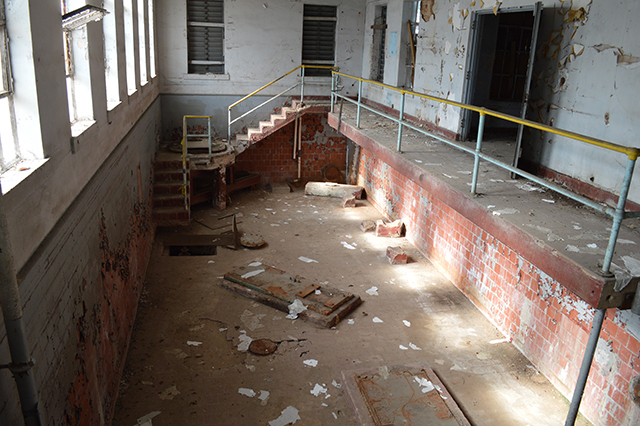 While usually not architecturally significant, several historic pump stations in Dallas are. The 1920s Spanish Revival-styled Greenville Pump Station has wonderful detailing and an original clay tile roof. The Cadiz station is another example. 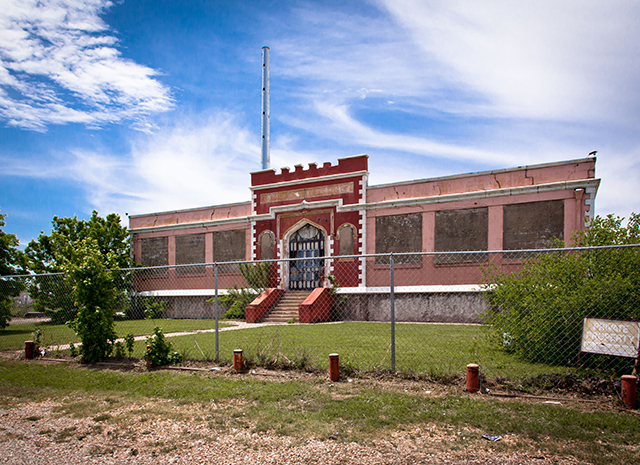 Due to modernization, the city’s water utilities department is mothballing the buildings; their future use is uncertain due to location and uncustomary purpose. Nicholas McWhirter, AIA is an architect with Stocker Hoesterey Montenegro. Mark Doty of the City of Dallas and David Preziosi of Preservation Dallas also contributed to this article.